1) You want to point a hostname to an IPv4 address. Which DNS resource record type will you make use of to accomplish this? 2) What are the resource record types supported by Oracle Cloud Infrastructure DNS service? 3) You want to launch an instance in Oracle Cloud Infrastructure. What are all the required parameters? 4) You are in process of designing a load balancer to accept incoming traffic. What configurations must be made for this? 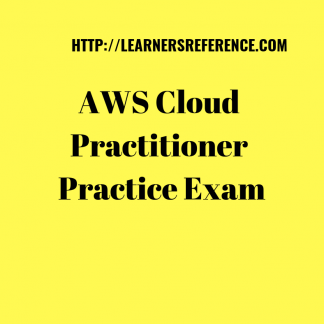 5) In TCP level healthcheck you attempt to make a TCP connection with the backend servers . How will you validate the response? 6) In TCP level healthcheck you send requests to the backend servers at a specific URI. How will you validate the response? 7) What configuration formats are supported by terraform? 8) What is extension of Terraform HCL configuration files? 9) What are the many different formats of terraform configuration files? 10) What is extension of JSON format machine-readable Terraform configuration files? 11) How will you parameterize Terraform configurations ? 12) What is the way to tell TErraform what data is important? 13) To tell Terraform what data is important outputs are the way to go. When is this data outputted? 14) What is the default output at the end of a terraform apply operation? 15) How will you achieve high availability in Oracle Cloud Infrastructure? 16) Which resource is tied to availability zone on Oracle Cloud Infrastructure? 17) In Oracle Cloud infrastructure what is default behavior of security list? 18) What are the different types of compute instances that come as part of Oracle Cloud infrastructure? 19) What are the components of backend set of a load balancer? 20) Which among the following load balancer components are optional backend set components? 21) Are the backend set components in load balancer physical (or) logical? 22) What is the main use of load balancing policy? 23) What are the many different types of load balancing policy in Oracle Cloud Infrastructure environment? 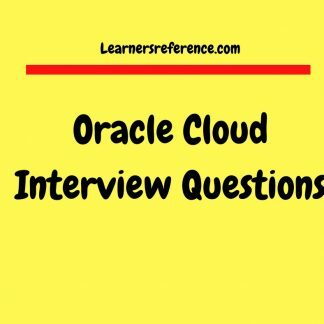 24) In Oracle cloud infrastructure what is the default location in which automatic backups of databases in cloud are created? 25) Where are IAM resources the users and groups created? 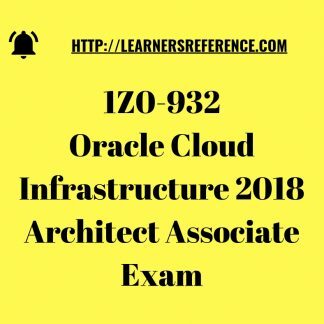 26) What is the use of internet gateway IG in Oracle Cloud infrastructure? 27) State the difference between VM standard and VM dense IO shapes? 28) What is needed to create public load balancer? 29) Which two relevant storage tiers are available in the object storage service? 30) Does boot volumes allow you to create significantly faster custom images of running VMs without having to reboot? 31) In an Autonomous transaction processing which among the following SQL operations are available? 32) In an Autonomous transaction processing which among the following SQL operations are not available? 33) What actions are controlled by Oracle cloud infrastructure layer? 34) What actions are controlled by Oracle cloud infrastructure layer? 35) In Oracle cloud infrastructure is unix authentication layer of security controlling the actions for connecting the client instance to the mount target? 36) In Oracle cloud infrastructure is IP Networking layer of the security control controlling the actions for connecting the client instance to the mount target? 37) Which among the following are valid REST API operations for DNS Zone in OCI? 38) Which among the following are not valid REST API operations for DNS Zone in OCI? 39) In Oracle cloud infrastructure which among the following are encrypted at rest rather than in transit? 40) In oracle cloud infrastructure what is the default encryption used in file storage service? Oracle PL/SQL web tool kit is the prerequisite needed for using Oracle Application Express. Oracle APEX 3.0 is the recent version. The OWA tool kit 10.1.2.0.6 is the pre-requisite needed for oracle APEX. owa_util package can be queried to obtain information on oracle web tool kit version. I tried installing oracle APEX in Oracle Database 11g Release 2 today. It is a Windows 7 environment. Oracle APEX installation starts with a simple apxconf script that is bundled with oracle software (oracle 11gr2 binaries). Here are the simple steps to install APEXin Oracle database 11gR2.Oracle APEX which stands for Oracle Application Express is a popular software from Oracle Corporation. Its latest version Oracle APEX 3.2.1 is available for download.Oracle has been continuously upgrading its database with plenty of web features. Oracle APEX finds its importance in data analysis stream such as bio informatics, medical informatics, clinical research and analysis.If you aspire to take up medical informaticist careeer Oracle APEX is a recommended skill set.Also, this can be learnt in addition to OLAP (Online Analytical Processing), Oracle Data Mining that are made use of in data analysis stream (data analysts, system analysts etc). 3) Log onto SQL prompt as a SYS user with SYSDBA privilege. Run the apxconf script. Once this script is run, it will prompt for ADMIN password, listener port. If we press enter default values of password, 8080 will be taken as input and PL/SQL script will be successfully executed. 5) Anonymous user account needs to be unlocked. In a budget hierarchy, each budget is either classified as a master budget or a detail budget. Depending on the level in the hierarchy, a budget can be either a master budget, a detail budget, or act as both. A budget that acts as both a master and a detail budget is a detail budget that also has detail budgets of its own. For example in a corporation,there are three levels say,the Corporate level, the Division level and the Region/Department Level.At the Corporate level is the Corporate Budget. This budget is a master budget and is at the top of the hierarchy. budget and the Marketing Division budget. The budgets at this level are detail budgets. The third level of the hierarchy has six budgets, three connected to the Sales Division budget and three connected to the Marketing Division budget. RCU-6083:Failed – Check prerequisites requirement for selected component:WEBCENTER Please refer to RCU log at D:rcuHomerculoglogdir.2010-09-06_22-38rcu.log for details. 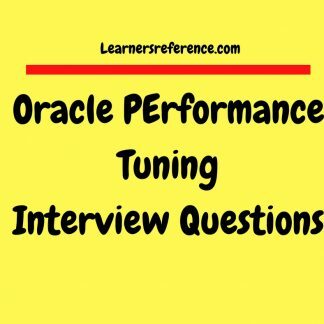 Error: Oracle Initialization Parameter ‘PROCESSES’ is too low. Cause: The Oracle Initialization Parameter ‘PROCESSES’ must be at least 300. Action: Change the Database Initialization Parameter ‘PROCESSES’ to 300 or more, then rerun RCU. RCU-6092:Component Selection validation failed. Please refer to log at D:rcuHomerculoglogdir.2010-09-06_22-38rcu.log for details. Now try running rcu and the problem gets fixed. What do Oracle Demantra Consultants do? Oracle Business Process Management is a comprehensive set of tool suite called as oracle BPM suite that is used in automating the business processes from end to end. This BPM tool suite is a fusion of Oracle poducts combining the best from Oracle andBEA systems. This is a strategic oracle’s fusion middleware product. This tool suite has a rich set of features starting from modelling tools for business analysts, system integration tools for developers, user interaction features, dashboard features etc. Do I need MRCA Tool to remove ODS Schema? 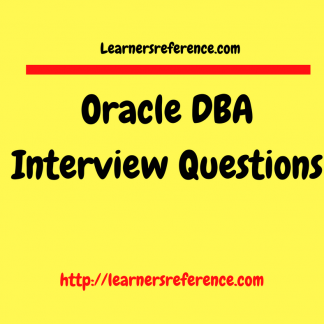 What is an external document in oracle applications? External documents are business documents corresponding to customers,trading partners (ie.external person). That could be invoices,bills of landing,package slips. Oracle E-Business Suite Release 12 is capable of producing external documents in any of the active languages,simultaneously and with a single request. ie. Customers can get the documents in the language they are comfortable with. A company’s customer in France, for example,could receive invoices printed in French, and a customer in India could receive invoices printed in Hindi. We can send external documents to different printers based on language, and route completion notifications to different people according to the requested language. For example, we could route all French documents to one printer, and all other documents to another printer. We could send completion notifications for Spanish documents to one user, and all notifications, including Spanish, to another. Oracle Applications is an ERP solution from Oracle corporation. When we are performing an upgrade to discoverer/e-business suite, ensure that existing configuration remains valid. Each layer is also called by name tier. Desktop tier is the presentation layer that presents the data to user in a formatted fashion. Application layer is the layer formed of application services also called as application servers like Oracle HTTP Server, Forms server, reports server, discoverer server, concurrent server. Database layer is used to store the application data. It constitutes Oracle databases. TCF is a server process that uses JDBC thin drivers to manage connections for hierarchy editor applications. Some good examples of hierarchy editor applications are object navigator. 1) What is the difference between primary key and unique key? 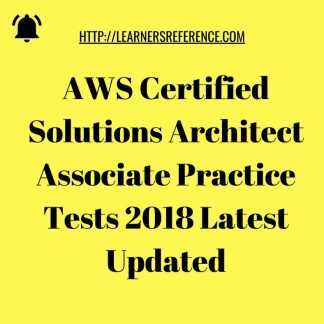 2) Why are you considering AWS while you have current job as DBA? 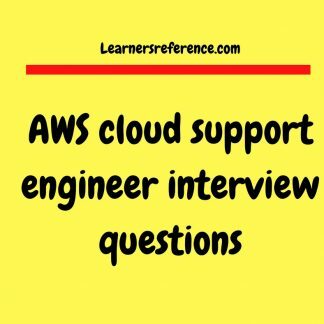 3) Why AWS instead of oracle cloud or azure environment? 4) What is cloud computing? 5) What are the many different AWS services supporting databases?